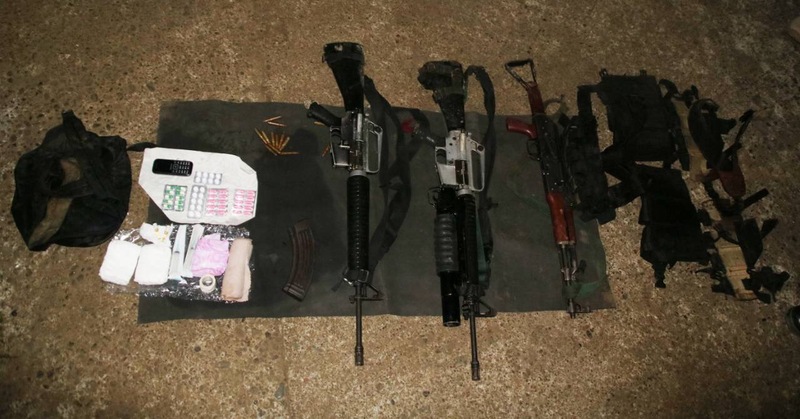 CABADBARAN CITY, Jan. 28 -- Three New People's Army (NPA) terrorists died in an encounter with the 29th Infantry (MATATAG) Battalion (291B) at Sitio Patagon, Barangay Anticala, Butuan City on Sunday, Jan. 27. Through the continuous effort of Post Community Support Program (CSP), government troops of 291B received information from concerned civilian that NPA terrorists are conducting extortion and threat in the area. The 29IB immediately conducted security patrol that resulted to an encounter with an undetermined number of NPA Terrorists under Toto Anub alias Dongkoy/Makoy at the hinterlands of Brgy. Anticala, Butuan City. 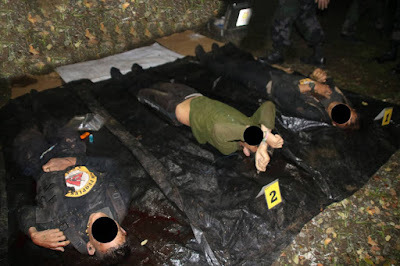 The three dead bodies of the NPAs Sandatahang Yunit Propaganda 21, Guerilla Front 21 of the North Eastern Mindanao Regional Committee (NEMRC) are yet to be identified. One AK47, one M16, and one M16 with M203 were among those recovered firearms in the encounter site. Bloodstains in the withdrawal routes of the terrorist NPAs are still being tracked in the meantime. "We strongly condemn the NPAs' action and this is an indication that we have the support of the people and it shows that the people are getting desperate of the NPAs presence in their community. We will continue to protect the communities and their right to live peacefully," said Lt. Col. Warren Munda, 291B Commanding Officer. "We extend our sincerest condolence to the family of the NPAs. It is clear that NPA terrorists are not mindful of their comrades, leaving their dead bodies during clashes with our troops," he added. LTC Munda also said that the 291B under 402 Infantry Brigade and PNP counterparts will ensure that the dead bodies will be identified and delivered to their respective families, even though the government considers the NPA as a terrorist group. LAS NIEVES, Agusan del Norte, Jan. 28 -- The local government unit of Agusan del Norte is ready for work immersion program for the Lingayao National High School of the municipality of Las Nieves, this province, which is one of the requirements for senior high school students before they graduate. Based on the committee meeting of the Committee on Education and Culture, chaired by Provincial Board Member Aquino W. Gambe, it was found that the Lingayao National High School was interested to partner with the local government of Agusan del Norte concerning their senior high school students to do the work immersion program under the management of the province. Under the said program, the work immersion program is one of the requirements of the Senior High School wherein qualified students will undergo training exposures prior to graduation in order to be adequately familiar with actual work, to enhance their technical knowledge and skills thereby obtaining work experience and actual training. The provincial government agreed to accept students from Lingayao National High School and to provide the students with necessary guidance, technical assistance and relevant work exposures aligned with their fields of specialization.